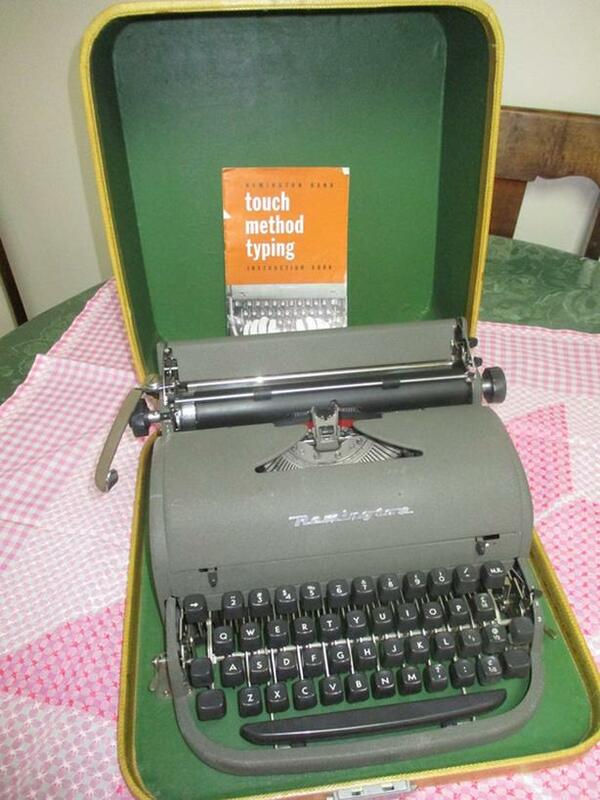 THERE ARE TWO OF GRAMAS ESTATE TYPEWRITERS. # 1 IS A REMINGTON MANUAL . IT HAS A RIBBON AND WORKS WELL. #2. IS AN UNUSUAL REMINGTON PORTABLE. THIS VINTAGE MODEL IS UNIQUE WHEN YOU GO TO TYPE ON IT. A SIDE SWITCH RAISES THE ENTIRE KEYBOARD INTO AN UP / FOREWARD POSITION BEFORE TYPING. ONCE RAISED YOU TYPE NORMALLY. WHEN FINISHED YOU REVERSE THE SWITCH LOWERING THE KEYBOARD TO ITS RESTING POSITION. IT WORKS FINE WITH A RIBBON AND CLEANING BRUSH.